Stepping into the sultry, glamorous world of lady detective Phryne Fisher has just become one step closer to reality. 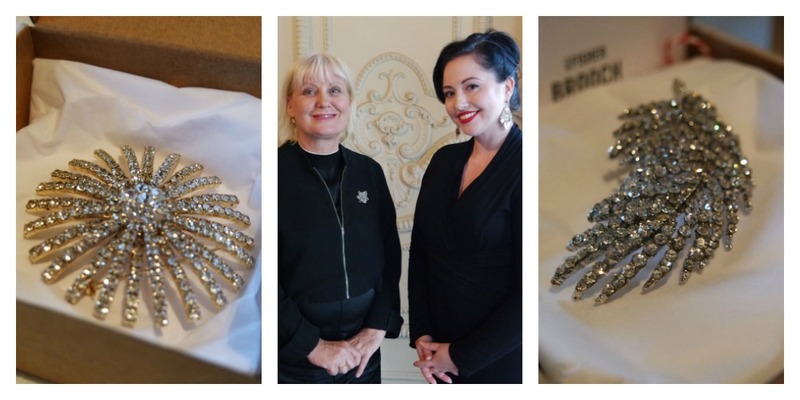 Phryne’s own award winning costume designer Marion Boyce has just announced the release of an exclusive, limited edition line of Miss Fisher accessories to charm and delight. 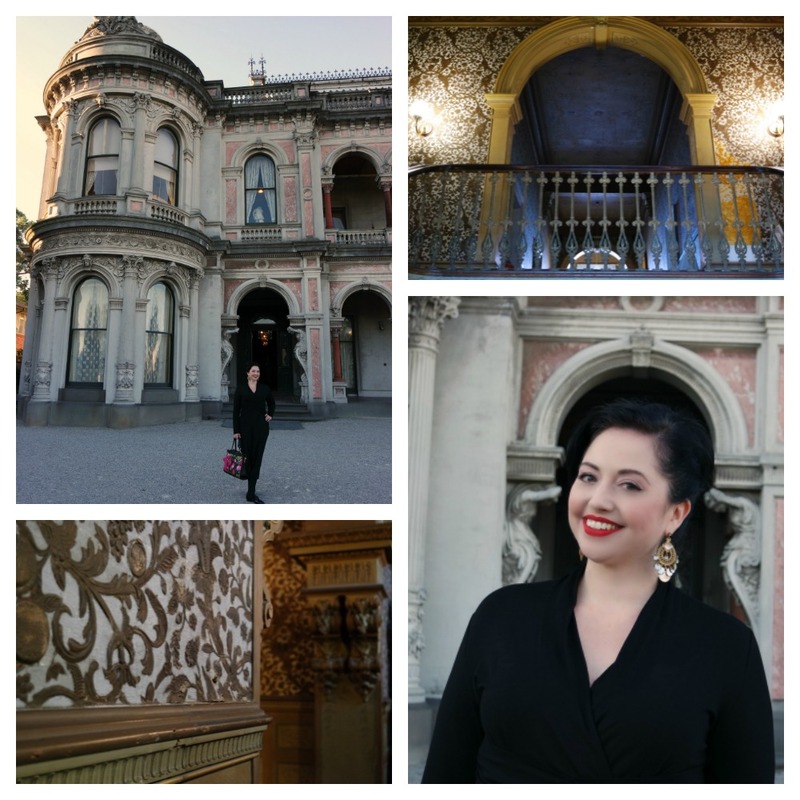 “Golden hour” was the perfect time to visit Marion at the historical Labassa Mansion, the stately home where episode 6 of the latest series 3 was filmed. 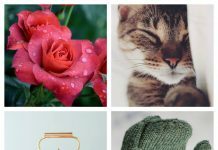 Including scarves, wraps, handbags and jewellery, each piece in this range has been lovingly created to exceptional quality standards. The collection was designed to reflect Miss Fisher’s sense of irreverent elegance, taking cues from the colour palette and luxury of her 1920’s look rather than being overtly art deco influenced. 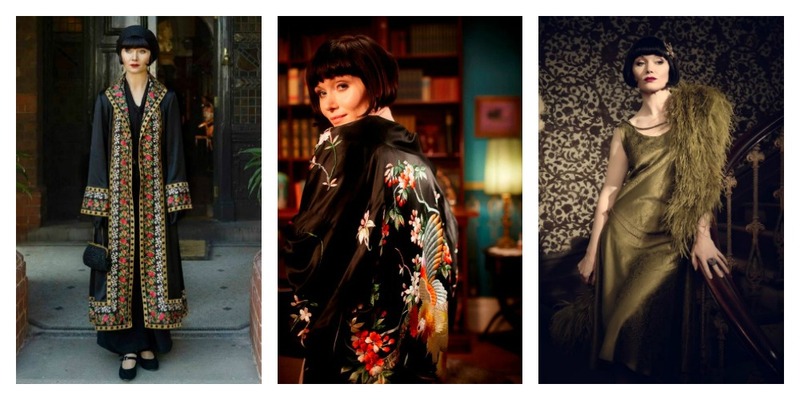 “These [fashion] pieces are all made in Melbourne, by the same team I use to make Phryne’s costumes. The jewellery collection, sourced from around the world, is all hand made in sterling silver with touches of marcasite, green agate and freshwater pearls. These are timeless pieces that can be worn in a classic or cutting edge modern way. What we like to call Future Vintage – pieces you’ll keep forever. There is a distinct hallmark of quality in all of these pieces evidenced by the drape, the weight and the finish. The shawls swing with purpose, hems weighted with superb trims. There is no “nasty Nylon” in this range. It is no overstatement to say that with a few pieces of simple black in your wardrobe, this collection could enhance their beauty and purpose to an entirely luxurious ensemble. They make the concept of keeping a minimal wardrobe with exceptional accessories incredibly appealing. Regardless of age or your existing closet, there is something in this range to suit every taste, from the extravagant to the understated. The Miss Fisher Collection is available online now (yes, with international shipping) just in time for Mother’s Day. The range is also available in the National Trust retail stores as part of the travelling Miss Fisher’s costume exhibition. For even more Miss Fisher glamour to add to your look, check out our Phyrne inspired 1920s hair and makeup tutorial! Oh wow ! How amazing is that collection and who wouldn’t want to be Phyrne.